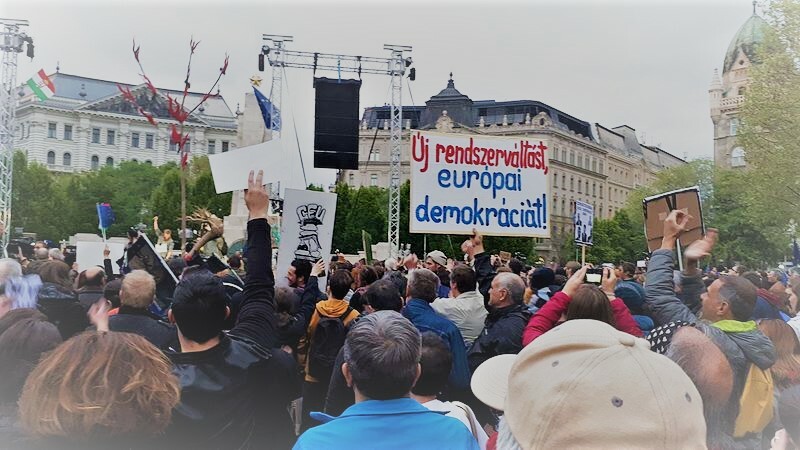 The Heinrich Böll Foundation has been compiling a dossier containing articles on the situation in Hungary since the right-wing government came to power in April 2010. The dossier is understood as forum for critical voices from Hungary. Their contributions reflect the socio-political changes in Hungary referring to current trends as well as long-term developments. Subscribe to the RSS-Feed of this dossier, or write to Nora Koves, Editor of the dossier (nora.koves@cz.boell.org). In this special feature of the Cultures of History Forum the authors seek to place the ‘Lex CEU’ in a broader context, both regionally and historically, and ask what the state of academic freedom, civil society and liberal values is in the countries that came out of communist dictatorships more than 25 years ago. Please visit the website of the Cultures of History Forum for further reading. The state cannot expect regular people to respect the decisions made in courtrooms if state agencies themselves ignore them. The prime minister and his wife attended a show in Milan’s famous opera house, La Scala, on November 15. Coincidentally, one of the airplanes owned by the Hungarian military, which Orban had used several times before for official trips, flew to Milan on the same day. Three influential businessmen close to Viktor Orbán have interests in almost every sector. Lőrinc Mészáros has almost doubled the number of his enterprises last year, the companies of Garancsi are soaring and Andy Vajna’s wealth grows exponentially. The Hungarian government is financially supporting soccer wherever it can: new stadiums are being built across the country. Besides professional soccer, there is a huge amount of money spent on junior teams and training the new generations of soccer players as well. The watchdog NGO Atlatszo revealed in September that Viktor Orban and the political and economic elite close to the government are using a €56-million luxury jet and a €21-million yacht. It decided to build an online tool where anyone can track the yacht and the jet in real time. The Heinrich-Böll-Stiftung has commissioned the second volume of a study to examine the political choices of the Hungarian youth. The scope of this study has been extended to include the political involvement and attitudes of that part of the Hungarian youth who already are emigrating or are planning to soon move abroad. Political socialization has been an absolute failure in the new Hungarian democracy. Facts and figures from "Political Capital - Policy Research & Consulting Institute" in co-operation with Heinrich Böll Stiftung.